Now I’ve made (and eaten) a lot of Asian-style jelly desserts in my day, but I think I have to declare these Burmese Kyauk Kyaw as my new favorite. Not only do they have that delicate, lightly-sweetened coconut thing going on, but they’re one of the most striking desserts I’ve ever seen. When cooling, the jelly separates into two distinct layers: an opaque coconut layer and a translucent agar-agar layer. And did I mention that they’re just about as easy to make as jello? I finally mustered the courage to experiment with the agar-agar that’s been sitting in my pantry for the last 8-10 months. Most recipes I saw used the agar-agar in its strand form, but the powder is much more readily available, at least around these parts. Although I couldn’t find a straightforward explanation as to how to substitute one for the other, I finally came up with a exactly the texture I was going for (which is a bit softer than some of the other agar-agar desserts, like Vietnamese rau cau, that I’ve had in the past) after a bit of trial and error. 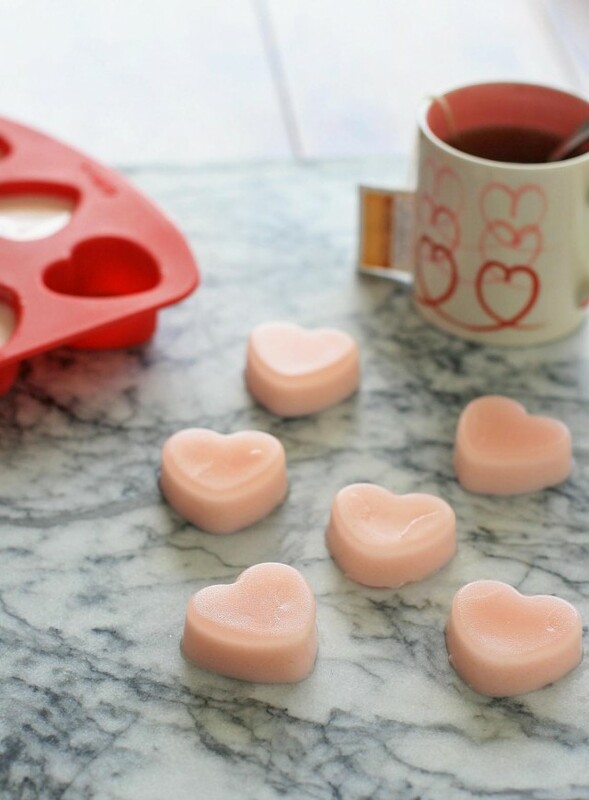 If you’re set on recapturing the fun of the Jello jigglers of your youth, these can easily be set in silicone molds or you can do it old school-style and just use cookie cutters. And although I used rose water, because that seemed to be the most traditional, feel free play around with different extracts and flavorings. 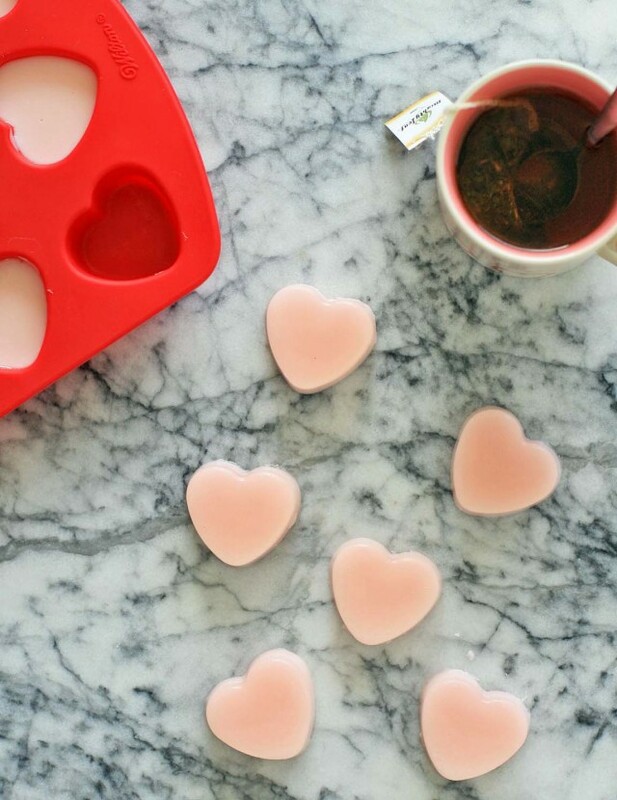 These heart-shaped molds were the only ones I had without a Christmas theme, so I decided to make this batch extra saccharine sweet by adding a drop or two of red food coloring. Be warned, however, that I found that the different layers weren’t quite as striking and obvious when food coloring was used. I’ve seen agar-agar sold in health food stores like Whole Foods for outrageous amounts. You should be able to find small packets, which have enough for several batches of these jellies, for $1-$2 at an Asian grocery store. 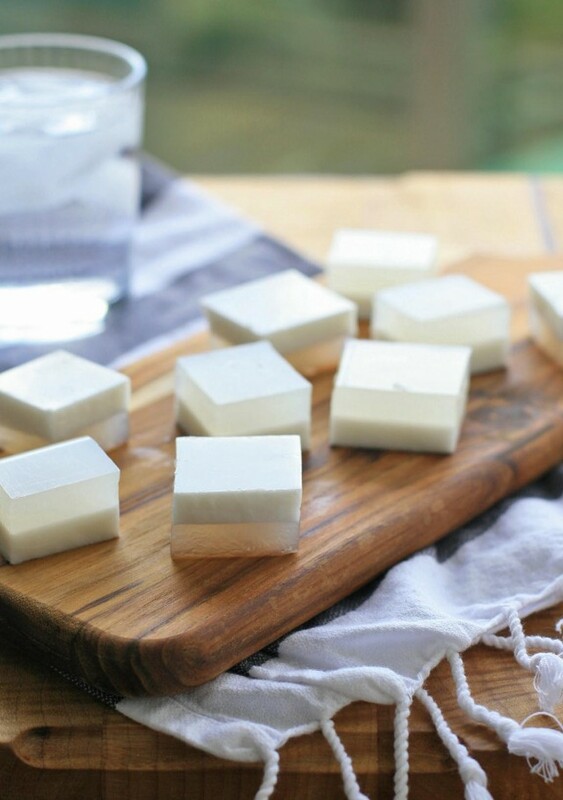 Combine the water, agar-agar, sugar, coconut milk and salt in a medium saucepan. Stir and let sit for 10 minutes. Set the saucepan over medium heat and bring to a boil. Reduce heat and simmer for 2-3 minutes. Remove from heat and let cool 5 minutes. 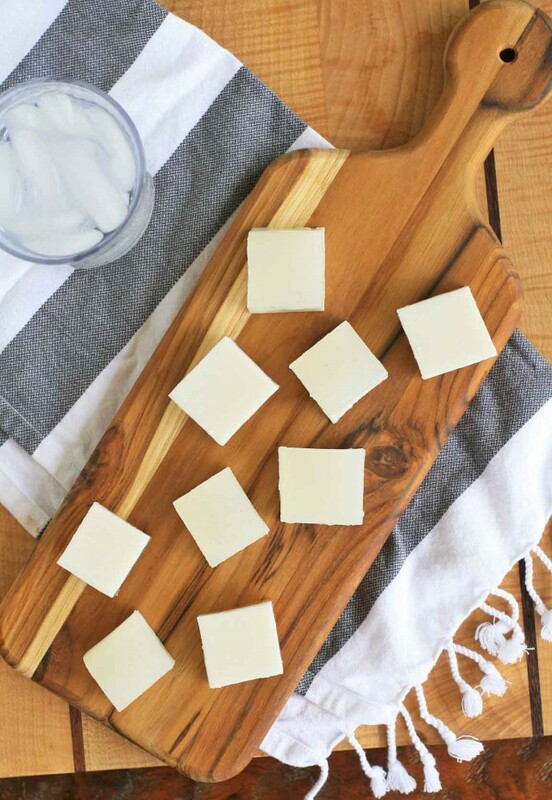 Stir in the rose water and food coloring, if using, and pour into a special silicone molds or a loaf pan or a square 8-inch by 8-inch pan. Let the mixture cool for 30-40 minutes to set. Cut into pieces and serve.